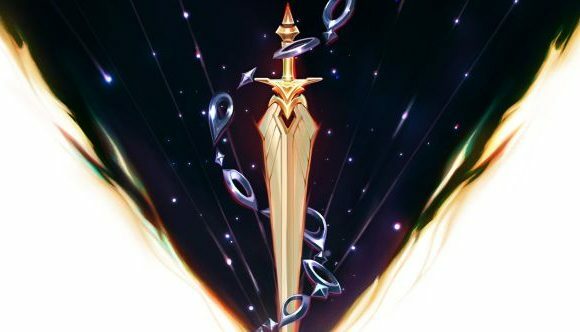 Riot Games is teasing not one, but two new League of Legends champions. In the final champion roadmap of the year, lead producer of champions Ryan ‘Reav3’ Mireles documented upcoming changes to Nunu, Ezreal, Kayle, and Morgana, while also pointing towards two new champions closer to the start of season nine. As has been teased before, Nunu is the next champion set to receive a rework. Reav3 discussed making sure to maintain the character’s iconic ultimate, as well as his E, Consume. His other abilities, however, are changing to bring the champion closer to the modern age of League of Legends. Sticking with reworks, Reav3 discusses Ezreal, whose model, animations, and VO don’t really suit him. While much of the sharpshooting adventurer’s kit is set to stay the same, there’ll be some changes to his W, Essence Flux, which many Ezreal players “aren’t in love with.” Riot also wants to rebuild the character’s VO and model in order to make sure the fantasy attached to playing Ezreal can be more effectively delivered on. When it comes to existing champions, Reav3 ends on Kayle and Morgana. While acknowledging that Morgana’s in a pretty good spot, Reav3 does admit that Kayle is far less viable. With that in mind, Morgana’s changes will be pretty minor, but Kayle will go through a more wide-ranging rework. Both champions, however, will be subject to something of a new theme, tying their joint narratives together. Finally, what you’ve all been waiting for – the new champions. Details on the pair (who will be released at different times) are very scarce, but there are a few hints. The first release is referred to as “a rather colourful mage,” and the images attached to them include a pair of flowers – which you can see in the full roadmap – and a sword cutting through a field of light to reveal a cosmic space-scape behind it. To me, those flowers say Ionia, but that space-sword reminds me of Leona and Aurelion Sol, two champions attached to Targon. Our last mage, however, was the Targon-dwelling Zoe, and Riot do tend to try to diversify between champions. The new mage “won’t stay hidden for too much longer,” so expect to see them in a few patches’ time. As for that second champion, the tease is even less revealing. Reav3 says that “we have another new champion locked away, with no release date in sight,” sharing an image of two golden chains snaking across a patch of light in a shadowy dungeon. I’m thinking that could be a Noxian kept prisoner in Demacia, but at this point it’s really too early to do any more than speculate. Expect to see more about this new champion during pre-season.